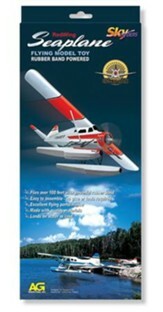 Take to the skies with your own Aerobatic Jets. 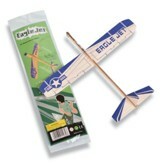 Designed for ages 6 years and older, this set includes 4 easy-to-build gliders that can reach heights up to 300 feet! Featuring realistic-looking details, plus 4 catapult launchers, and 4 display stands. 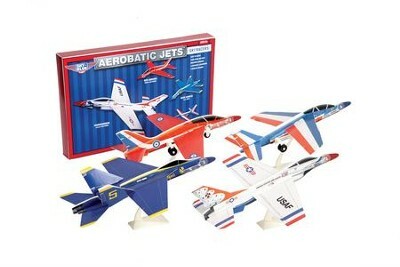 Jets are: Thunderbirds U.S.A.F. Air Force, Red Arrows Royal Air Force, Blue Angels U.S. Navy, and Patrol of France French Air Force. I'm the author/artist and I want to review Aerobic Jets Kit, 4 Gliders with Display Stands.